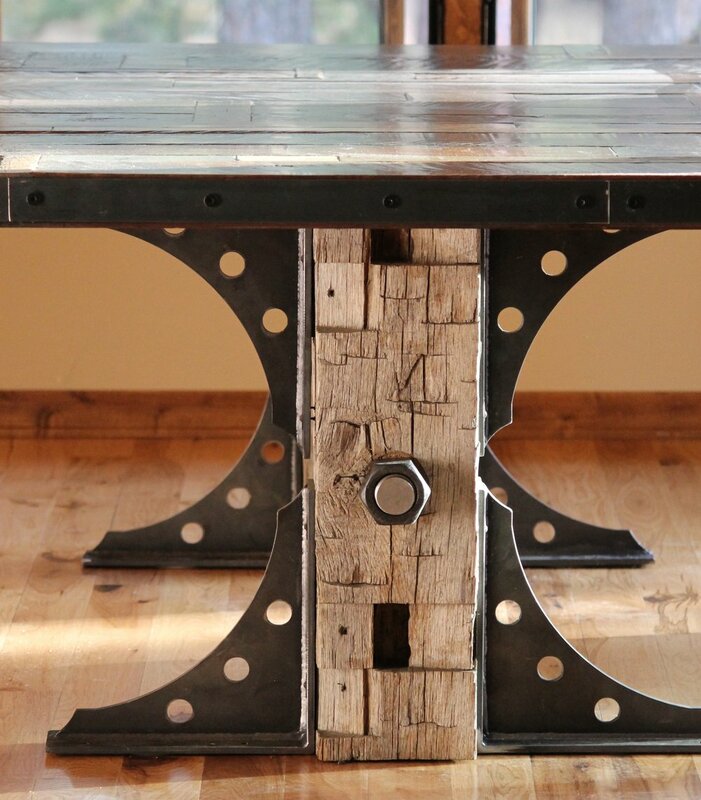 We aren’t your typical four-post-leg table company, but a combination of rustic, modern, and industrial design. We fabricate both bold and beautiful into the same piece. We convince raw and refined to coexist. We build to last and aren’t satisfied unless we grab your attention and invite you to contemplate how a stationary piece of furniture seems to dance with creativity. We don’t mass produce our designs. That’s obvious in our quality. Instead, we explore the adventure of innovation. We examine the beauty of all materials: wood, steel, concrete and glass, so our hard work is best defined as art.